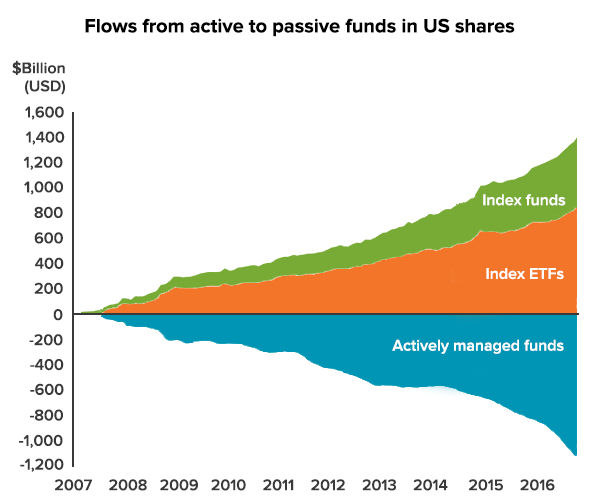 ETFs continue to be the biggest disruptor to the asset management industry and at the same time are blurring the lines between different styles of investing. Over the past 15 years, over US$2 trillion has moved out of active funds and into index funds and ETFs. Globally the ETF market is projected to reach US$10 trillion by 2020 and be larger than the active managed fund market by 2027. The use of ETFs in Australia continues to grow at a phenomenal rate. The local ETF market grew from $27.2 billion to $36.2 billion (33% growth) over the past year. ETFs have become popular in Australia with individual investors, advisers and Self Managed Super Fund (SMSF) trustees due to their low-cost, transparency and diversification benefits, as well as being available on the ASX. SMSFs and older Australians are turning to ETFs to earn a better return than cash or term deposits but with lower risk than direct shares. 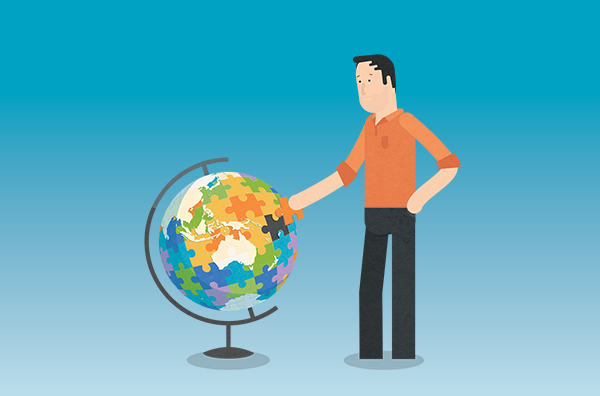 ETFs are giving Australian retirees and pre-retirees exposure to global shares and bonds, improving their overall diversification while reducing risk. Meanwhile ETFs are becoming the first investment experience for many younger Australians via robo-advisers or round-up apps. Recently the Royal Commission into Banking Misconduct has put a spotlight on the conflicts caused by the vertical integration of the banks and typical investment products that they recommend to clients. The beneficiaries of this likely to be independent non-aligned advisers – many of whom recommend ETFs. This year in our 4th annual ETF Report we’ve analysed over 175 ETFs by looking at factors like fees, performance, size and activity. We also look at recent ETF market trends including the continued growth in global ETFs, the wide gap between the performance of different sectors and styles and the mixed performance of active and smart beta ETFs. We hope you find our free report useful. Can ETFs make the world a better place? What are the best industry super funds?